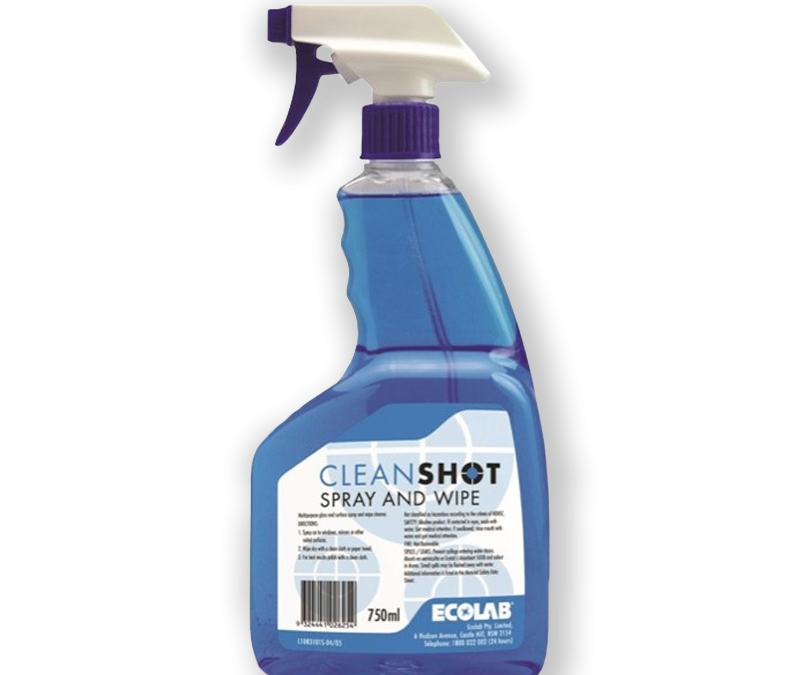 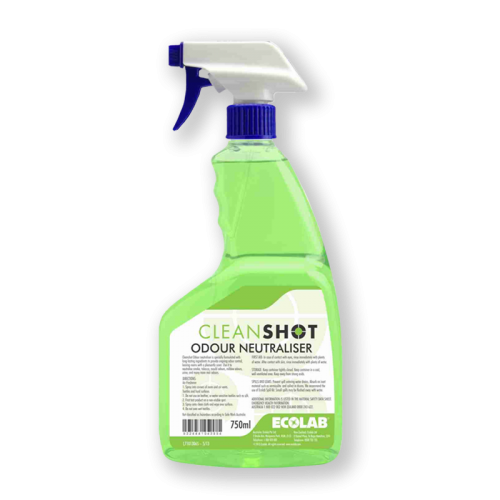 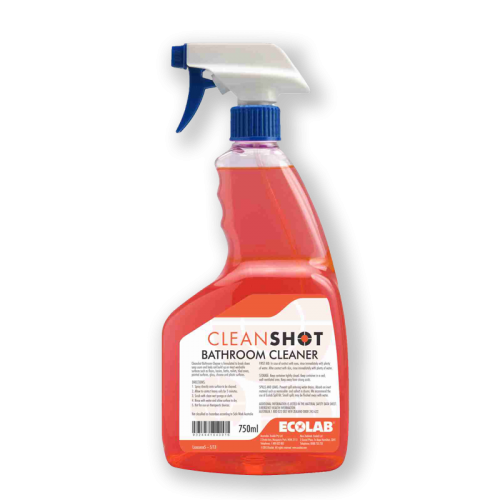 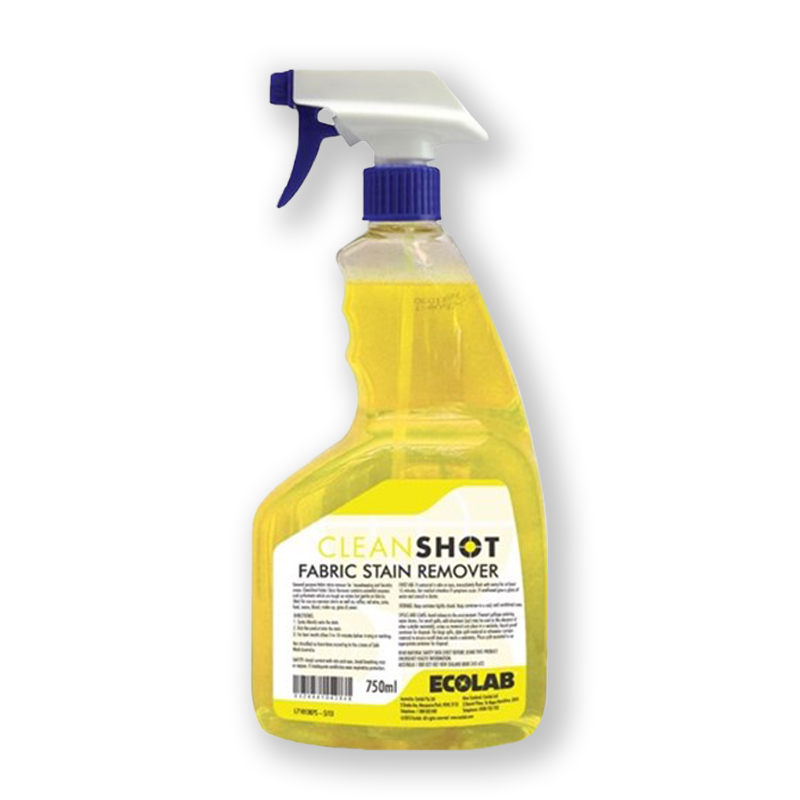 Cleanshot Spray and Wipe is a multipurpose cleaner that leaves streak-free results. It can be used on all surfaces in the kitchen, bathroom, hotel and resident rooms and general areas in your establishment. 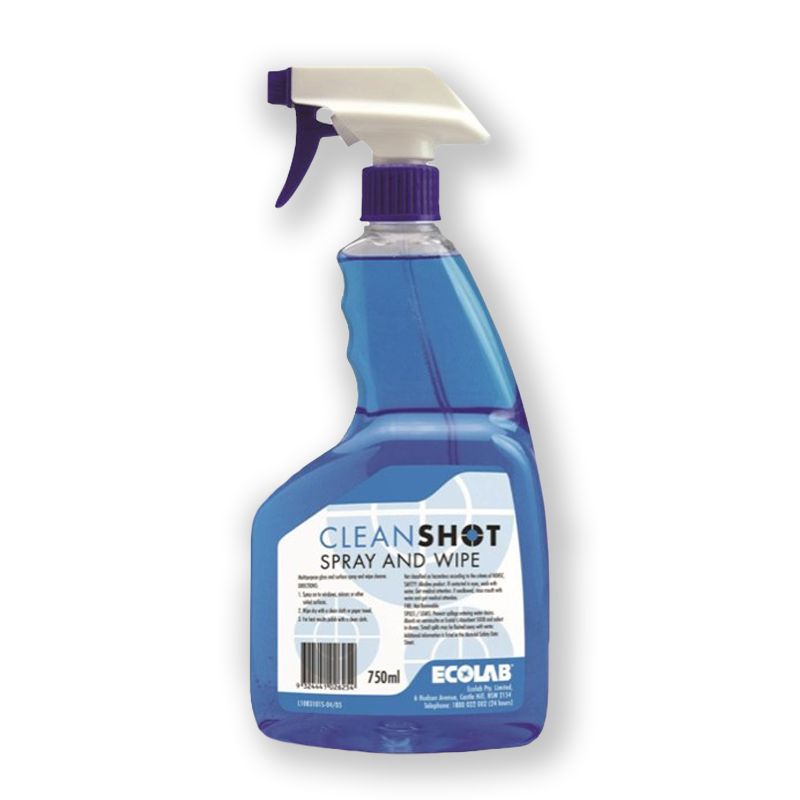 Simply spray, then wipe! 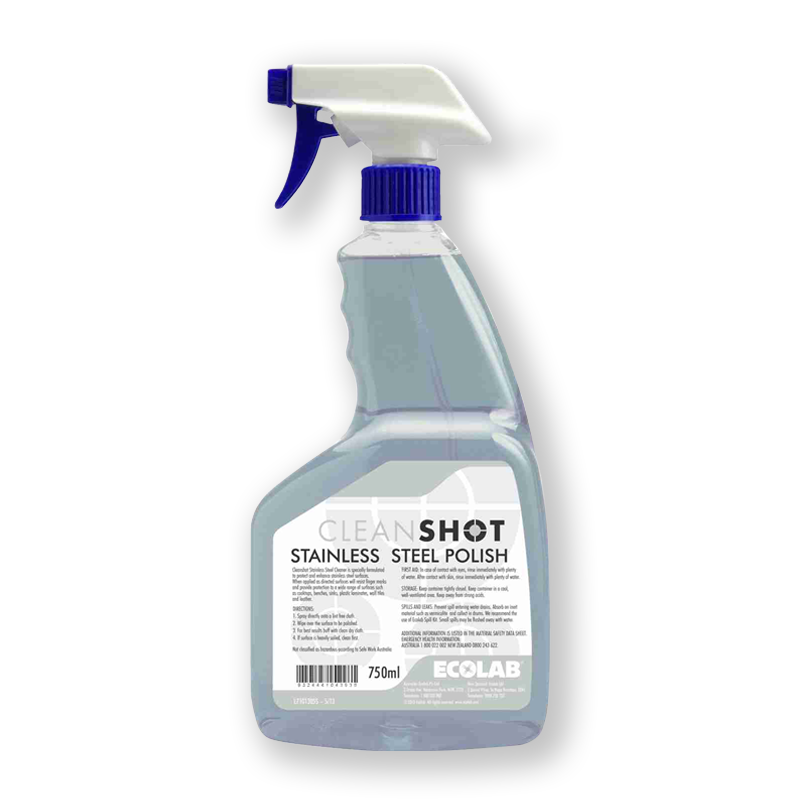 Available in a 750ml ergonomic bottle, no mixing is required making this product easy and safe to use. Use on: glass, mirrors, windows, stainless steel, benches, and table tops.